Choosing the right cat to add to your family household is not always easy. It can be especially challenging if you are searching for one of the best hypoallergenic cat breeds that fit other criteria like having a good disposition. Cats became domesticated many years after dogs did, but they now surpass their canine counterparts in popularity as pets. In fact, the average number of cats per family is two. Cat breeds have come a long way from their North African wildcat ancestor, although many desirable characteristics remain the same. As beloved as cats are, allergies to them are worse than to dogs 2:1. So it’s not surprising that there is high demand for hypoallergenic cats. Breeding for hypoallergenic qualities in cats requires decreasing the feline’s production of a particular protein found to be the culprit in triggering human allergies in susceptible individuals. Cats produce allergens in their saliva which manifest on their hair and skin via meticulous grooming. We selected the top five hypoallergenic cat breeds based on each cat’s production of this allergen (protein Fel d 1 and/or Fel d 4), temperament, attractiveness, coat type and suitability as a family pet. What cat breeds are considered hypoallergenic? 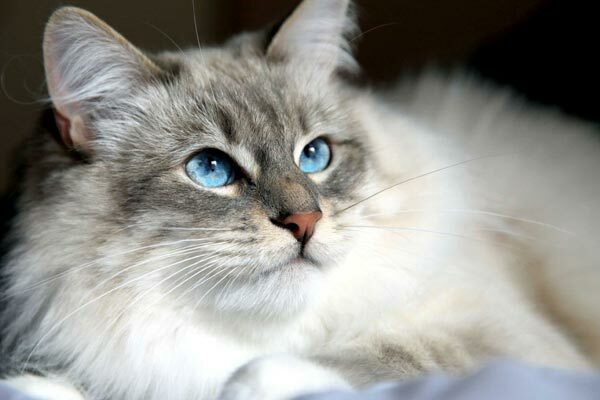 Although the Balinese is a medium-haired cat, it produces much fewer allergens than other cats. 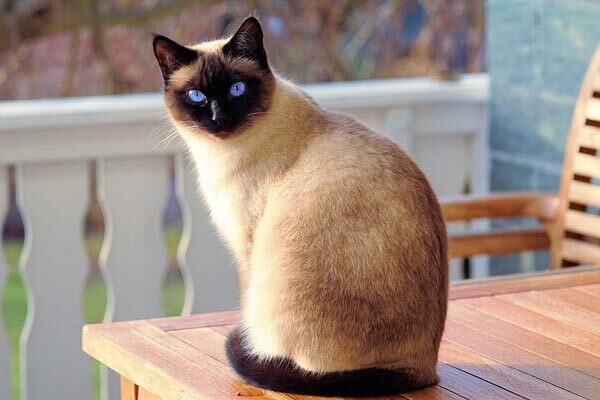 The Balinese is a mutation of the more well-known Siamese and thus has the same striking characteristics. They have a pale base color with darker “points” at the face, ears, tail, and paws. Unlike the Siamese, their coats are medium in length. Part of the Balinese lower allergen accumulation lies in the fact they have no undercoat. Their coats are silky in texture and their beauty is complemented by their eyes of all shades of blue or violet. Balinese cats are highly intelligent, social and playful. They enjoy interactions with their owners that are more intimate than most cats. They fit in best with active families that can accommodate their athletic and acrobatic endeavors. 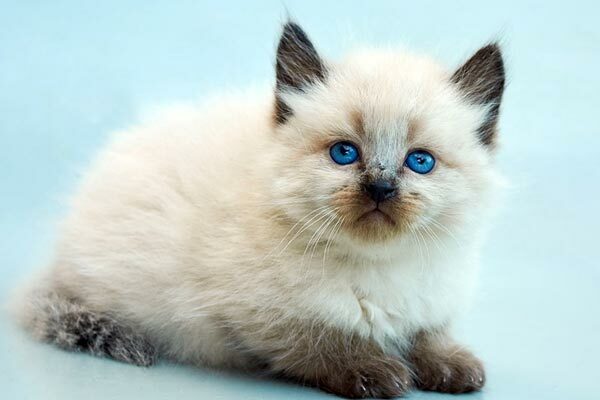 The Balinese is a long-haired Siamese and therefore you can surmise that the Siamese and others of the group will have similar hypoallergenic qualities. 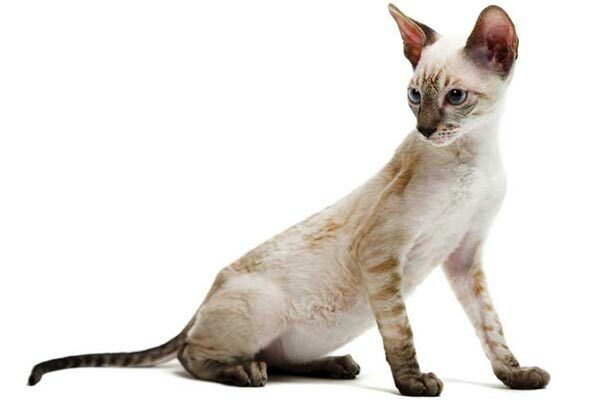 Without repeating information for all of them, some other cats with this lineage to consider are the Javanese (Balinese with alternative coloring), the Siamese, the Oriental Shorthair (Siamese type with solid coloring) and the Color Point (Siamese with alternative coloring at the points). They have in common lively interactive personalities and athletic prowess. 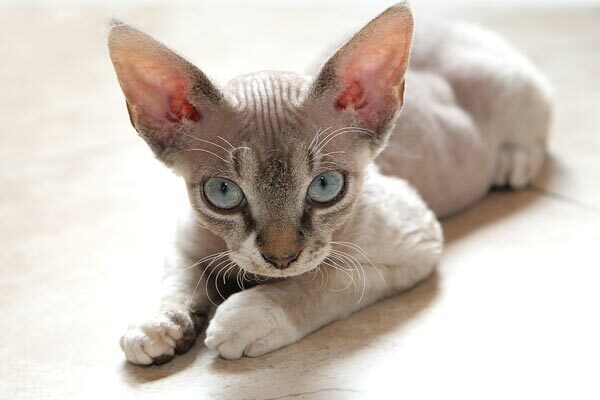 Like the Balinese, Devon or Devonshire Rex cats are intelligent and athletic cats with high activity levels. A Devon Rex is probably not the direction you want to take into cat ownership if you don’t enjoy a highly energetic demanding pet. And high intelligence does not translate to high trainability in the case of the Devon Rex. The Devon Rex is a beautiful cat with a pointed face resembling that of an imp or elf. His ears and eyes are disproportionately prominent and his fur consists of only a downy undercoat and a few guard hairs. This means less hair to trap allergens and less dander floating in the air. Siberians are long-haired cats that make the hypoallergenic cat breed list because they produce lower levels than usual of the protein Fel d1. Not only do Siberians have long semi-long hair, but they have a water-resistant triple coat. 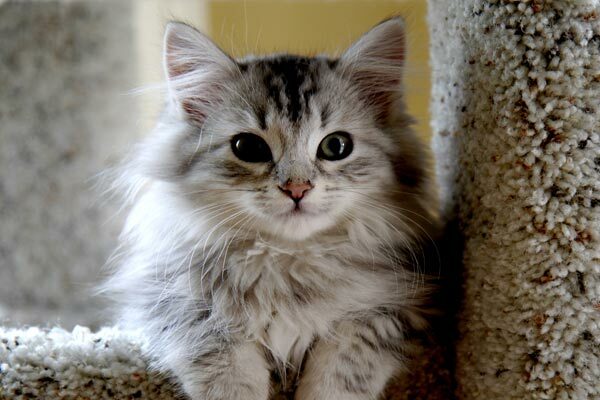 As their name implies, the Siberian or Siberian Forest cat originated in Russia. Despite their thick coats, shedding is relatively low. The coat does require regular grooming. Siberians are good family cats as they are good with children and guests alike. They are quiet but playful and active. They are exceptionally friendly, usually able to get along with other pets. Sphynx cats, unique among cats, are completely hairless or in possession of very fine sparse hairs. This feature leads to reduced dander and no hair fibers for allergens to cling to. Some do not even have whiskers. 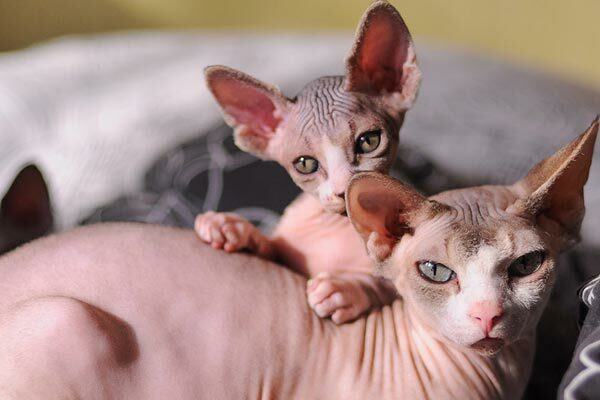 The Sphynx as a breed originated in Canada, although the hairless mutation had appeared several times before that. They were bred back to Devon Rexes to improve the stock and therefore you see many Rex traits in present-day Sphynx cats. The Sphynx is another highly social and intelligent cat. It is fortunate that they are hypoallergenic because they are affectionate and love nothing better than to be in your lap. They are good family cats and enjoy older children. Sphynx cats have a moderate activity level but their skin requires extra care. They require regular bathing to rid their skin of accumulated oils that normally would be dispersed through the coat. Moreover, their skin must be protected from the sun. At the other extreme, they are extremely vulnerable to cold temperatures. The Bengal cat’s less meticulous grooming habits make it a viable alternative for people who suffer from allergies to cats. 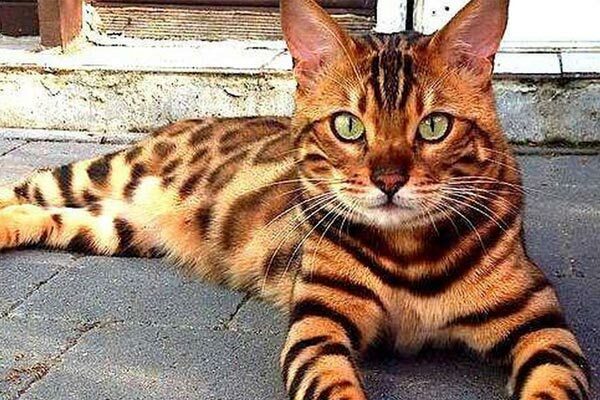 They may not groom all the time, but Bengals sport beautiful, luxurious and immaculate coats. Patterns vary from rosettes, stripes, and spots to marbling. Colors vary from black on burnished orange to almost white like a snow leopard. The Bengal originated in the United States and has Asian Leopard Cat in its ancestry. The present Bengal is affectionate, friendly and highly trainable. They are intelligent and require tons of activity to keep them occupied. Bengals also need plenty of devoted attention. Bengal cats are unusual in that they seem to like water and will swim. They are good with other pets and love dogs. These cats also interact well with children. This is the first curly-coated cat to become an established breed. This mutation appeared in Cornwall. The Cornish Rex, unlike the Devon, has no guard hairs. Its coat falls somewhere between that of the Devonshire Rex and the Sphynx. Curls or waves are prominently displayed everywhere except their shoulders and lower limbs. Even their whiskers are curly. Like so many others in this group, the Cornish Rex are intelligent, social and playful companions. They are very athletic and love heights. Like other sparsely-haired cats, they are heat seekers. The coat requires minimal and careful grooming so as not to damage it. Their skin needs protection from the sun. The Cornish Rex is affectionate and friendly but not particularly a lap cat. It gets along well with other pets once a bond has formed. This breed has an interesting history, originating in the Russian port Arkhangelsk on the White Sea. It was officially separated from other blue breeds in 1912. In order to revive the breed after WW1 almost wiped them out, breeders outcrossed them to the British Shorthair and other breeds. Russian Blues produce lower amounts of the protein Fel d 1, a primary allergen for cat allergy sufferers. They are intelligent but more independent than many of the other cats in this group. Russian Blue cats warm to strangers slowly. This breed makes a good family pet as it adapts well to other cats, children, and even dogs. They are very active but not too vocal. 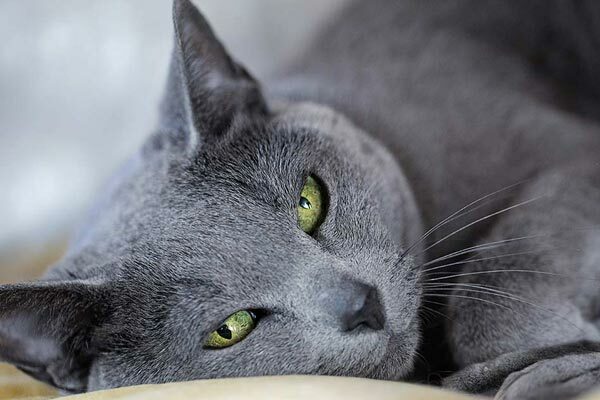 A Russian Blue is a calm addition and has a low-maintenance coat. How much will a hypoallergenic cat cost? When trying to determine the cost of a hypoallergenic cat, you, of course, must consider purchase price and costs of upkeep and maintenance. First, the purchase price will depend on the breed and who is selling the cat. Siberians are among the most expensive at $1300 to $1600, while Balinese and Devon Rex cats fall somewhere in the middle at closer to $600 to $800 from a reputable breeder. Breeders interested in maintaining good reputations often vaccinate their kittens before selling and guarantee health and some form of guarantee from hereditary problems. In a case where a pure-bred cat is important, obtaining a kitten or adult from a certified cat breeder is paramount. Upkeep varies according to factors such as grooming requirements and food intake. Siberians, for example, are typically large cats and will eat more than the small-statured Shynx. If you account for food and treats, bedding, toys, bowls shampoo and brushes, litter and pans, collars and harnesses, yearly costs will run roughly $700 to $1200. Finally, you must add costs for veterinarian care and pet insurance. Healthy cats cost $300 to $500 per year for their important check-ups and vaccinations. If you opt for professional grooming, you would need to add those expenses also. What causes people to have allergies to cats? We talk a lot about coats in hypoallergenic breeds of cats. However, the hair and dander is not the culprit for people who suffer from allergies to cats. Two proteins that are produced either in the cat’s saliva or in the oils of her skin are the true allergens. Less hair and coat can indirectly help by eliminating a large clingy surface area for these protein allergens. With these facts in mind, we selected the top hypoallergenic breeds based on decreased production of allergens and/or coat make-up. A few of the chosen cats are short-haired, barely-haired or bald. Even the ones with longer coats shed very little or may be missing a few coat layers. By decreasing the amount of hair that is shed, we also lower the number of allergens being dispersed by floating hairs and dander. Cats with less hair also have less to groom, ideally leading to less protein being spread from their saliva. Is there such a thing as a truly hypoallergenic cat breed? The answer is yes and no. No cat breed is going to be an allergy-free experience for everyone who has pet allergies. But most of the top hypoallergenic cats seem to be well tolerated by many people who are allergic to cats. 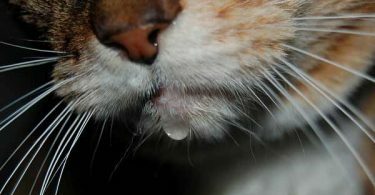 Another common phenomenon that happens to people sensitive to cats is their symptoms may lessen or disappear when living with a cat. Whether this is simply a natural build-up of resistance or whether hypoallergenic cats make the process easier is hard to say. The other complicating twist is that cats are individuals. Even those breeds which produce less Fel d1 proteins than other cats do it to varying degrees. There may be genetic selection for this trait which means some cats within the breed may still produce normal amounts of the allergen. This is less likely with smaller gene pools as in the case of the Balinese. How do you alleviate cat allergens in your home? Now that you have selected your hypoallergenic cat, what are some ways you can ensure a hospitable environment for anyone in the household suffering potential allergies? Chances are good that you have already made some of these changes if you or a family member have allergies. It works for pollen and mold as well. – Invest in HEPA filters. Your vacuum should have one because they can catch the smallest of dander and allergens. Also, place filters on the vents in the house. – Make sure to have a central air cleaner. This decreases or eliminates hair, dander and other potential sources of allergens from circulating through the air. – Get your cat used to baths. Many breeds on the top hypoallergenic breeds list require regular bathing anyway, but baths decrease loose hair where applicable, dander, oils, and saliva. A video to illustrate the hassle-free bathing of a Sphynx cat, which needs to be bathed at least weekly, can be applied to all the breeds. Avoid intimate tasks. 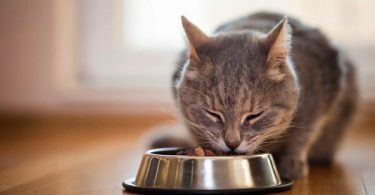 A family member who suffers from cat allergies should limit their exposure to cat litter and food plus water bowls. Allergens are in a cat’s urine as well as their saliva. Avoid bathing or grooming the cat if possible. Restrict the cat’s access to certain rooms. Depending on allergy sufferer’s tolerance, he or she may benefit if the cat has certain rooms that are off-limits to it. It can provide a sanctuary for someone with heightened sensitivity. Keep an immaculate house. Prepare to clean a lot even with a hypoallergenic cat breed. Regularly wash the walls, clean floors, and vacuum furniture and carpets. Consider making a few changes around the home if it fits your lifestyle and budget. You might replace upholstered furniture with leather. Trade out curtains for blinds for the windows. Balinese cats are the best hypoallergenic cats to consider because of their coat make-up, lower production of allergens and suitability as family pets. One factor to keep in mind when selecting a cat for your household is that hypoallergenic does not mean non-allergenic. Pet hypersensitivity is unique to each individual and some cats on this list may cause allergic reactions in a few people, and several cats not featured may not. If you really want to have a cat this hopefully enables you to bring one into your life.